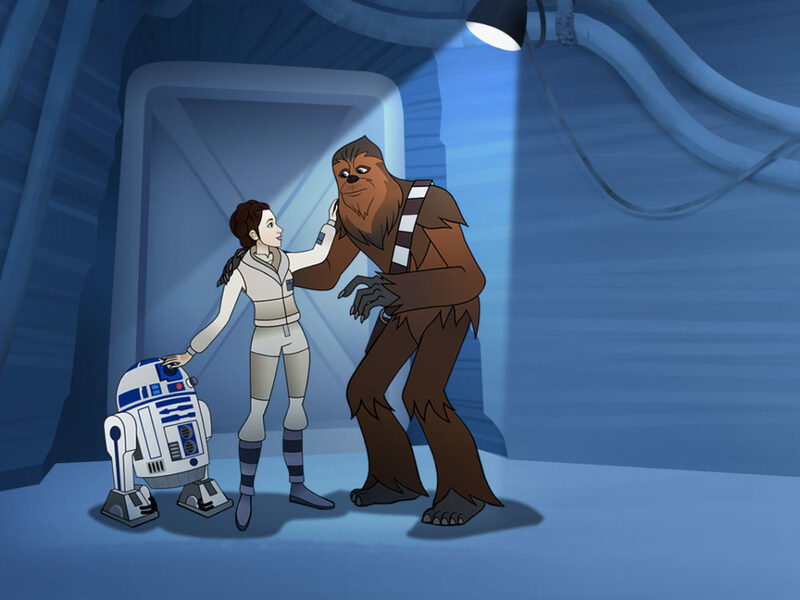 After learning more about Rey and BB-8’s relationship earlier this week on Star Wars Forces of Destiny, Wednesday’s episode took a closer look at Leia Organa’s adventures on Endor. 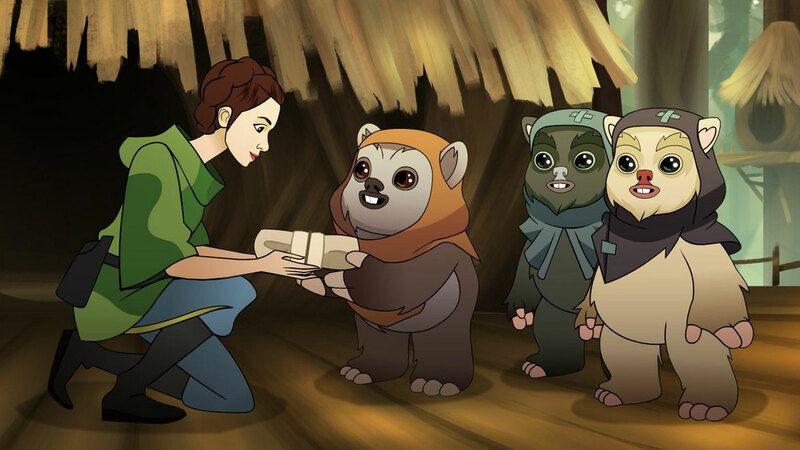 In this micro-adventure, Leia and Wicket save some of his friends from a pair of stormtroopers who have little respect for the primitive species that call the forest moon home. 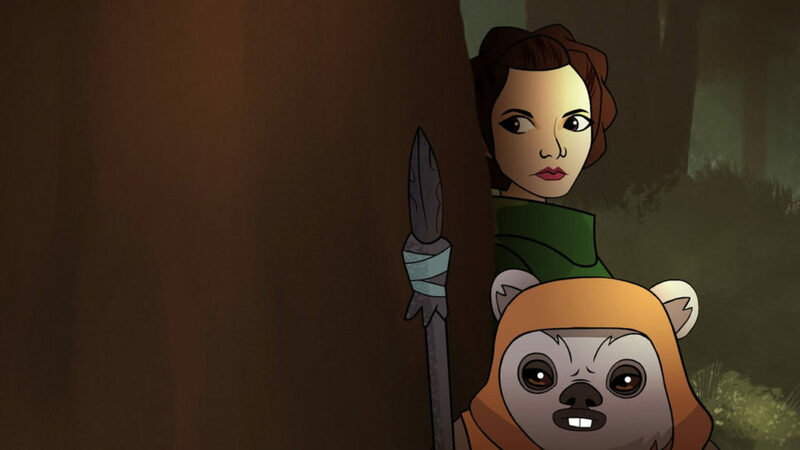 The short sheds some new light on how Leia earned the trust and friendship of the small furry bipeds, while reintroducing some favorite characters. 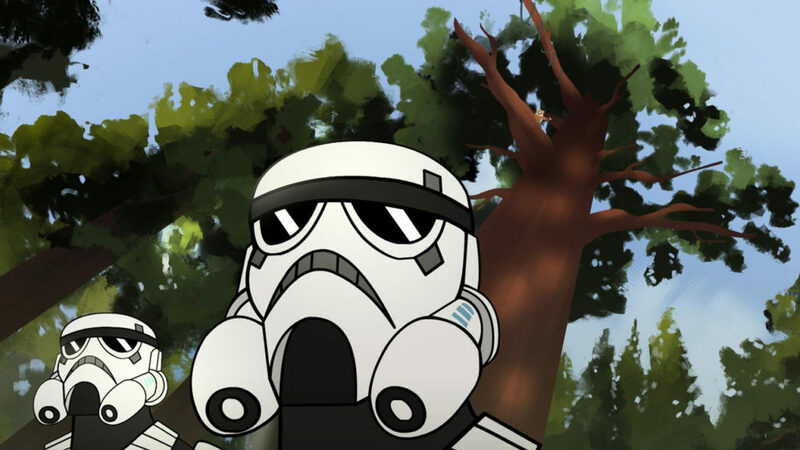 Here are five highlights from the short, “Ewok Escape” — which you can watch below! 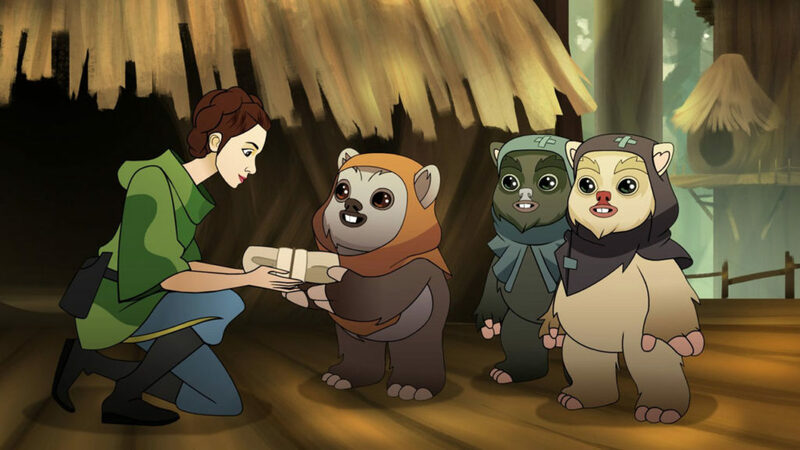 Wily Wicket is just one step ahead of Leia, who quickly pivots from needing to find her own friends to wanting to help the two Ewoks they discover in peril. We’ve all been there. You’re talking to your friend and you look down and realize…you’ve just had a conversation with a spear. 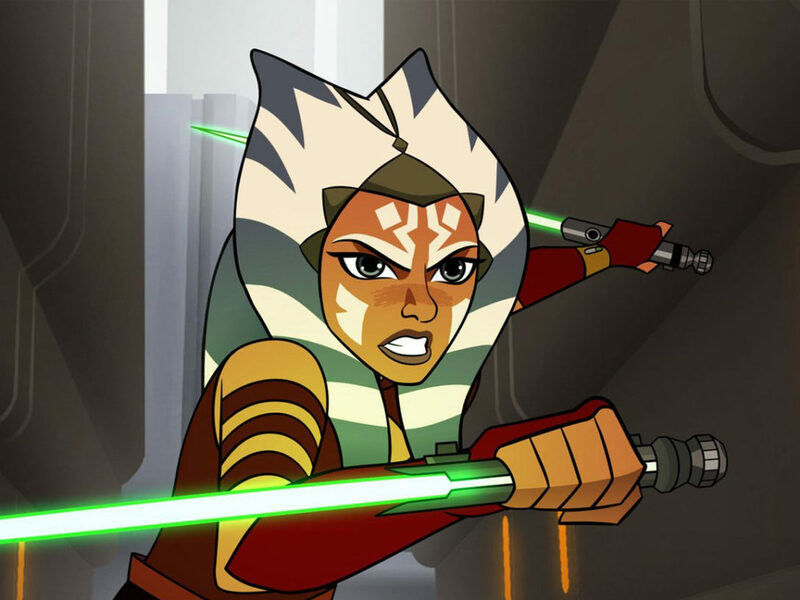 Star Wars just isn’t Star Wars until the perennial baddies with blasters show up. These bucketheads may have a whole new stylized facade, but inside they’re still the same dismissive Imperials we know and love. 3. A vine, some blasters, and the power of physics. It’s a classic cartoon sight gag — use a pulley system to save the day! But here’s a fresh take: Leia using all her strength to show the Empire its troops are no match for her and her new pal. Just like the shrill beeps of a faithful astromech, the Ewoks require no translation. Leia herself has no trouble deciphering their tongue, but it doesn’t take a protocol droid to give us a pretty good idea what they’re saying as well. Yub nub! To be honest, we’ve always wondered how Leia found time to pack a change of clothes (and where she kept it — beneath her camouflage poncho perhaps?). But now we have a more definitive answer. It turns out the simple dress she wore to lounge around the Ewok village was a gift from her very thankful hosts. 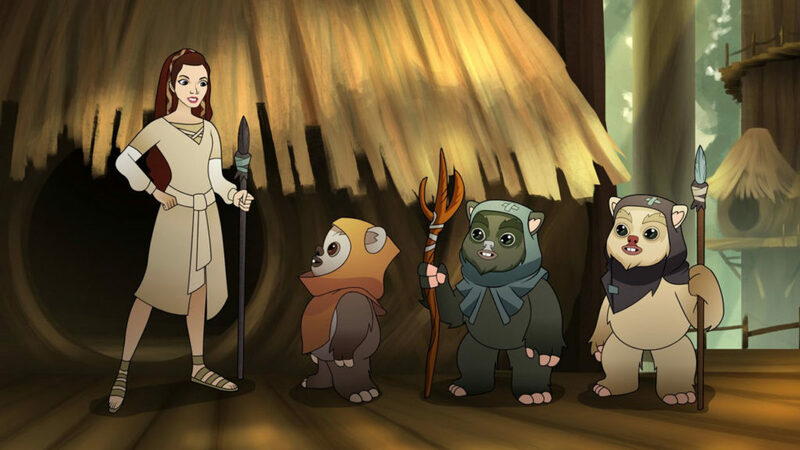 What was your favorite moment from “Ewok Escape”? Let us know in the comments below!